It’s time to get back into the grind and to consider the Hollywood Professional Association’s upcoming technology event. The 2018 HPA Tech Retreat will take place February 19-23 at a new location, the JW Marriott Desert Springs Resort & Spa in Palm Desert, CA (Palm Springs area). Those of you not familiar with the event will find information about last year’s on the HPA web site here <http://www.hollywoodprofessionalassociation.com/?page_id=152558>. And this post from 2010, when HPA still stood for Hollywood Post Alliance, offers a broader sense of who attends and what takes place <http://www.schubincafe.com/2010/01/15/someone-will-be-there-who-knows-the-answer/>. 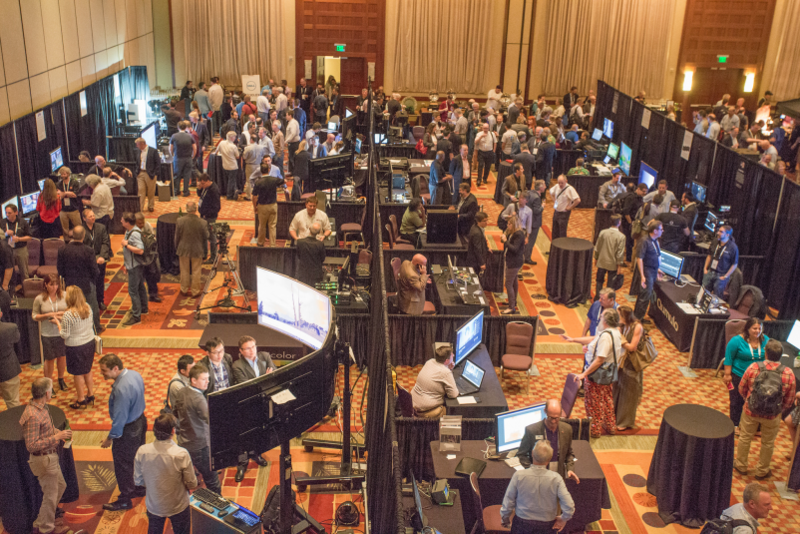 As usual, the 2018 HPA Tech Retreat is expected to have seminars, a super session, and a demo room. This notice is a call for proposals for two other aspects of the retreat, presentations in the main program and breakfast roundtables, both of those taking place February 21-23 (Wednesday through Friday). 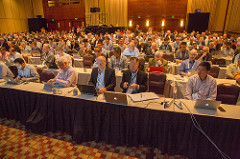 Topics may include ANYTHING related to moving images and associated sounds, including (but not limited to) alternative content for cinema, bit-rate reduction, contrast-sensitivity, digital rights management, energy use for HDR TV sets, forensic analysis, gigapixel imaging, higher frame rates, immersive-sound, just-valuable-differences, kleptomania in distribution, long GOPs in an era of rapid changes, multi-language subtitling, near-field communications, open-source processing, psychophysics, quantum entanglement for zero latency, reclining seats in cinemas, soundfields, terabit transmission, ultra-high-whatever, virtual reality, wider color gamut, x-rays in 8K, young interpupilary distances, and zoom lenses for 32K imaging. Anything from scene to seen and gear to ear is fair game. So are haptic, olfactory, and gustatory applications. Presentation proposals must come from the proposed presenter. No formal submissions are required. A sentence or two is usually sufficient. If we need more info, we will ask. Presentations in the main program are typically of half-hour duration, including set-up and Q&A (if any). Longer or shorter presentations can sometimes be accommodated; if a different duration is desired, please request it. Panels are typically longer. Panel proposers are expected to provide both the moderator and the panelists. There have typically been many more submissions each year than can be accommodated in the main program. Many factors affect selection, including themes that emerge from submissions, so rejection does not necessarily reflect on the quality of the submission, but no marketing presentations, please. Presenters, moderators, and panelists may all attend their sessions free and get a substantial discount on the full retreat. Proposals, which, again, must come from the proposed presenter, should be sent to Mark Schubin at [email protected] or [email protected] by the end of the day on Friday, October 27, 2015. Every proposal received is quickly acknowledged; if you don’t receive an acknowledgement, your proposal probably wasn’t received. Decisions are expected early in December. The breakfast roundtables are, literally, round tables at which attendees eat breakfast, starting at 7:30 AM. Each has a number, and the numbers correspond to lists of topics and their moderators posted at the doors. Attendees may choose a roundtable based on its topic, moderator, other attendees, proximity to the food, available seats, or other factors. Popular roundtables might be surrounded four layers deep; unpopular ones might have a lone moderator sipping coffee. Unlike the main program, which is intended to be marketing-free, the breakfast roundtables are Liberty Hall. Moderators may teach, preach, ask, call-to-task, sell, kvell, or do anything else that keeps conversation flowing for an hour. 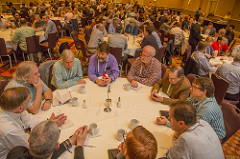 There is no vetting process for breakfast roundtables (though the size of the proposed topic title might be truncated into a smaller version to fit on the list); there is, therefore, no retreat-registration discount conveyed by moderating one, and all breakfast-roundtable moderators must be registered for the retreat. Tables are assigned on a first-come first-served basis. Topics and even moderators may be changed at the moderators’ option up to the last minute, but once a moderator commits to a slot that slot must be covered from 7:30 AM to 8:30 AM, even if no one else shows up and even if the moderator would rather sit in on someone else’s table. Requests for breakfast roundtables may be submitted only by their proposed moderators to the same e-mail addresses. There is no deadline, but once the maximum number of tables is reached (nominally 32) no more can be accepted for that day. Wednesday and Thursday typically fill to the limit; Friday typically doesn’t. Requests should list the desired day(s) and the desired topic(s). Topics may be repeated on multiple days or changed at the moderator’s discretion. Information about retreat registration (it has reached maximum capacity each of the last few years) and demo-room applications will become available later; check the HPA web site: http://www.hollywoodprofessionalassociation.com/.